Special Priced!!! 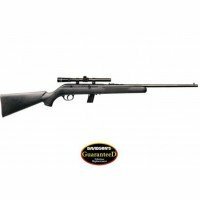 **NEW** Thompson Center (Smith & Wesson) Compass Bolt Action .30-06 5+1 **NEW** (LIFETIME WARRANTY AVAILABLE & FREE LAYAWAY AVAILABLE) **NEW** Special Priced!!! 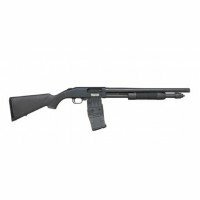 This is a Brand New Thompson Center Compass Bolt Action .30-06 5+1 1 Removable Box Mag. Condition of this gun is brand new. Starting New in our office for every $10 you spend with our office this will equal one entry to win the FPA of the month, FPA of the month is a Rifle, Handgun, Shotgun of that month. Simple if bid on this gun and won it for $350.00 that would be 35 entries into the drawing to win the FPA of the month. 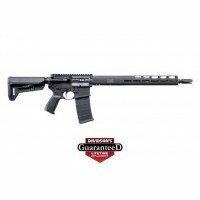 This month's (February 2019) FPA of the Month is a Sig Sauer SIGM400 Elite with Romeo5 1X20MM Red Optics Valued at $1,495.00 for details or info on this firearm just search FPA on Egunner.com very easy to find!! We must collect state sales tax over and above your bid or buy now price of 6.85% for Utah resident sales. (All other states exempt). 2. Please check your local and state laws for compliance of the firearm you are bidding on. We do not make our firearms compliant to your state, Please check with your FFL prior to bidding and/or buying. 3. The shipping price listed is for the lower 48 states, please check with us for shipment to Alaska and Hawaii Puerto Rico quotes. 4. We will send you an invoice to your email after you won the auction and or buy it now with instruction to proceed and complete the sale. 5. Please Have Your FFL Email A copy of Their License To: firingpinmike@gmail.com or it will delay your shipment to you! We appreciate your business, good luck and thank you again! 6. FREE LAYAWAY AVAILABLE! If you would like to put the item on layaway. Make three (3) consecutive monthly payments and on receiving the final payment we will ship to your chosen FFL. If any payment is later than thirty (30) days after the previous payment you will forfeit your layaway and all proceeds previously applied. Of course, you can pay it off earlier with no extra fees and receive the item that much sooner. You cannot combine promotions for free shipping or free insurance promotion and layaway together you have the choice of one or the other promotion. For the free shipping promotion or the free insurance promotion which ever one is running at the time on a Buy-It-Now Purchase the purchased item must be paid in one full payment. Unfortunately, because time and money has been invested in your order you will be charged a 25% cancellation/restocking fee and any fees we incur from Egunner.com for any purchased items not paid for. You will pay any fees we incur to collect this money from the purchase, this includes standard late fees any collection costs & any attorney fees, court costs, or paperwork costs we incur to enforce or defend this policy. Payment is in form of Money Order or a Certified Check. There will be a 4% fee for non-cash purchase that applies if you need to use a Credit Card or Debit Card to pay as this is what they will charge us. Paypal is not accepted to use for any type of FFL item this is a violation of their policy and ATF policy as well. We do have a new option with our banking to use Zelle for bank transfer for free check to see if your banking offers this. If the above item states there is a Lifetime Repair Or Replacement Warranty Available this is an option to add to most of all of our guns and is only a $15.00 cost most shops charged $45 to $65 to add this we will send this over as an option for purchase. Winning purchasers who do not honor their commitment to finalize the purchase will be restricted from future purchases as they will be reported as a non-payer and noted as such. If you are unsure if you can pay for the item you are purchasing please don't buy. We appreciate your business and thank you again!